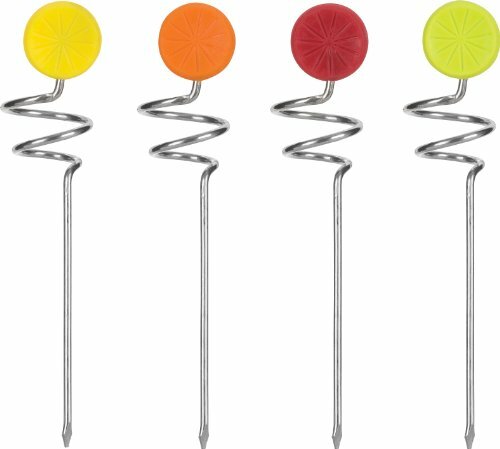 This set of 4 cocktail picks is an absolute must for your next cocktail party. They're colorful, unique and extremely practical. 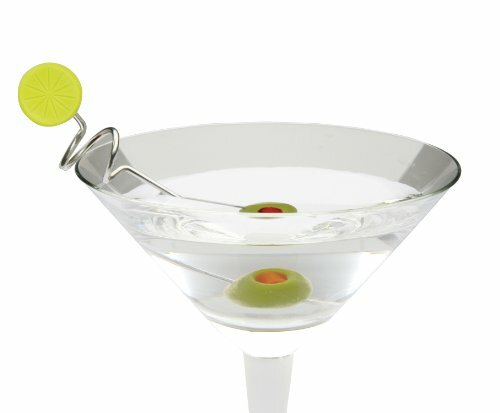 Spear up some olives, cherries, onions or strawberries with these picks and watch your cocktails (and party) come to life! Made of stainless steel with decorative lime top. Four vibrant colors provide festivity and easy drink identification. Dishwasher safe. Five year warranty. By Trudeau, a company that develops visionary products. Add an exciting flavor to your day, with Trudeau. Style, eloquence and innovation - Trudeau, letting you savor life's little moments.